(RYT-500) For Martin, the journey to yoga started in the studios of New York, and were firmly cultivated during his time in the jungles of Costa Rica. Having grown up in Palm Beach and attending the Palm Beach Day School, Martin graduated from Johns Hopkins University with a double B.A. in Near Eastern Studies (Egyptology) and Writing Seminars, and then directly matriculated into the M.A. Writing Seminars program, and then earned an M.F.A. at NYU, where he taught in the Expository and Creative Writing Programs as an adjunct lecturer. As a freelance writer, his work appeared inThe New Yorker, Vanity Fair, Esquire, Harper's Bazaar, Paper Magazine, The Wall Street Journal, Travel + Leisure, The New York Times’ “T” Magazine, The New York Post, Avenue Magazine, Hemispheres Magazine, Huffington Post, and The Palm Beach Daily News, among others. He served as Editor-at-Large for Scene Magazine, a glossy produced by the New York Observer, and wrote men's style and lifestyle columns for various publications. Though he'd been a regular practitioner of yoga since college, Martin became more involved in yoga as a psycho-physical modality of rehabilitation as part of his own recovery from a congenital neck problem that had been exacerbated from years of typing, and, through a winding course of decisions, decided to move to a remote village on the Pacific Coast of Costa Rica, in order to conduct his own physical therapy while simultaneously fulfilling a dream of his — to complete a 200-hour yoga certification at the world-renowned Nosara Yoga Institute. He graduated with his RYT-200 certification in February 2013, and soon thereafter began teaching several of the public yoga classes a week. By July 2013, he was added to the full-time teaching staff. Specializing in his own variations of Yoga for Core Strength, Gentle Flow, Self-Awakening Yoga, he also focuses on the more active Ashtanga-based vinyasas. In February 2016, he returned to the Nosara Yoga Institute for several months and completed his RYT-500 qualifications, having finished 300 hours' worth of trainings in yogic philosophy, hands-on assists, and advanced teaching methodology. (RYT-200) Jessica's path to yoga has involved nearly every physical modality of movement, and began at just 11 years old, when she trained with the West Germany's national gymnastics team, the following year going on to win the Minnesota High School State Championships. She next transitioned to classical ballet, enrolling in the illustrious Joffrey Ballet, Boston Ballet, and San Francisco Ballet. At age 16, she trained full time win the Royal Winnipeg Ballet. When she graduated, a US dance contract brought her to Ballet Florida, where she danced under director Marie Hale for the next 12 years, becoming a recognized artist in Palm Beach County. Known by many for her role as Clara in the annual production of the Nutcracker, Jessica performed on the stages of the Kravis Center and the Royal Poinciana Playhouse, and also danced in ballets choreographed by Peter Martins, George Balanchine, Alvin Ailey, and Lynn Taylor-Corbett. After retiring from dance, Jessica moved to New York City to pursue a degree in Fashion Design at Parsons School of Design. Several years later, Jessica was the head designer for an athletic brand. After meeting her husband, Jessica moved to Santa Fe, New Mexico, before eventually settling in Hong Kong. While there, Jessica designed for a global brand, while also developing and teaching a dance syllabus for children supportive of the Montessori Method. Eventually, Jessica found her way back to Palm Beach, with her family of four in tow. Suffering from back pain, she at last found her way to a yoga studio. Blown away by the efficiency and restorative properties of a yoga practice, Jessica sought to make it a priority in her life. Relishing the nurturing and challenging techniques of yoga, Jessica sought to become a certified teacher and received her RYT-200 from Haute Yoga. Jessica seeks to share with others the wonders of a well-balanced and efficient yoga practice. (RYT-200) Mom, Vegan, Lover-of-Life, and co-founder of the Island Bee — the island's go-to resource for all things raw, vegan, and organic — Andrea's passion for yoga is directly tied to her inherent belief that yoga can be part of a holistic approach to a cleaner, better, happier, and more sustainable life. Having started her investigation of movement through the lens of dance, Andrea discovered that, for many, this approach led to a disconnect between mind, body, and soul, and, to many around her, contributed to unhealthy lifestyle choices. She completed her yoga certification 10 years ago at Ishta Yoga in New York, having studied under the guidance of Yoga Works founder Alan Finger, and is a certified health coach through the Institute of Integrative Nutrition. She has taught at Bindu Yoga Studio, Gyrotronic Satnam, and Yoga Palm Beach, among others. (RYT-200) With an inquisitive nature that has led her to investigate the many branches of yogic philosophy and movement, Jessica has a background in yoga and pilates, and a passion for music and music education. She received her certification at Bindu Yoga Studio in West Palm Beach, and brings a diverse array of knowledge — from males to kirtan — into her classes and workshops. (RYT-500) Originally from New York, Jessica has been a student of yoga for 12 years, and in May 2017, she completed her yoga teacher training at Zeal Yoga in Jupiter. She recently completed her 500 hour certification at Strala Yoga in New York. She is continually inspired by yoga’s transformative power, both internally and externally, and finds it to be an expression of spirit. For Jessica, yoga is the glue that unites us all with Universal love and connection. (RYT-500) Nikki lives a life of "metta," or "loving-kindness," compassion, truth, friendship, faith, service, and gratitude, and the wish for the happiness of others. Following her studies and certification in Kripalu yoga at the Kripalu Institute, Nikki became a true "Yogilocks", continuing her studies and practice in almost all yoga disciplines, including Ashtanga, Iyengar, Bikram, Anusara, and assorted schools of Vinyasa practices, in many places, with many amazing teachers. As a result, Nikki blends power and play in practice. For her, it's all about breath and breadth, literally going with the flow, and finding acceptance, love, flexibility, and freedom throughout our challenges, both on and off the mat. Through it all, she believes that the art of yoga is meditation in motion, bringing forth a firm body, strong mind and open heart. "We don't stop playing because we grow old," she says. "We grow old because we stop playing". As a music and yoga teacher, she believes that her work provides her with a way to make a difference in our world today, connecting us to others and to ourselves. Finding balance does not have to be a struggle. It can be fun and sweaty. Come and play. Discover all that you have within. (RYT-200) Bob took his first yoga class in 1998. It was given in a friend’s backyard, in the shade of a large oak tree. No one had a mat, beach towels were spread out on the grass. That was the beginning of what has become a life long practice. 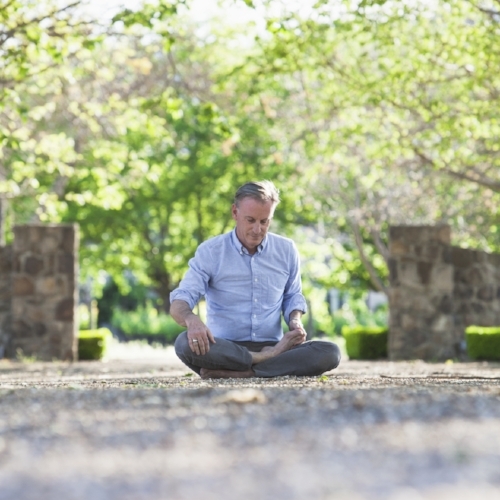 Bob is incredibly grateful to his many teachers, Cindi Lee, Sharon Gannon, David Life and all of the wonderful teachers at the Jivamukti Yoga School. He completed his 200 hour teacher training in 2014, studying with all of the amazing teachers at Yoga South. His classes blissfully align breath with movement. They are focused, flowing, and fun. Bob sets his classes to an eclectic soundtrack and encourages his students to make the practice their own. He finds what we encounter on our mat is a mirror to how we approach what we encounter throughout our lives.